Two mosques attacked in confrontations throughout London following Muslims' murder of a soldier. There is shock and fury in Britain following the gruesome murder of a soldier by Muslims in Woolwich, in southeastern London, on Wednesday. 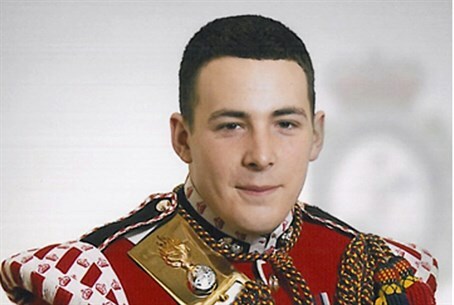 The murdered man was Drummer Lee Rigby, of the British Army's 2nd Battalion. EDL leader Tommy Robinson was among the crowd and explained: "They're chopping our soldiers' heads off. This is Islam. That's what we've seen today... Our next generation are being taught through schools that Islam is a religion of peace. It's not. It never has been. What you saw today is Islam," he added. "Everyone's had enough."